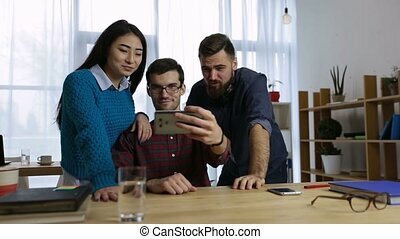 Funny team of pharmacist making selfie pictures at pharmacy. close up. professional shot in 4k resolution. 081. you can use it e.g. in your commercial video, business, presentation, broadcast video. 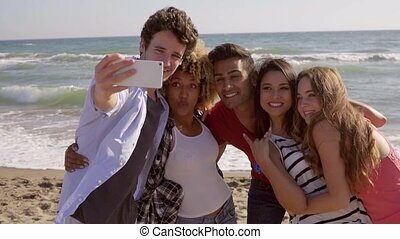 Group of young people makes a selfie on the beach. 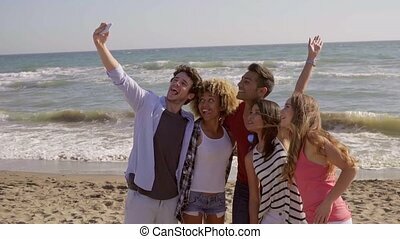 Five friends take a trip to the beach and take a funny pictures at the sea. 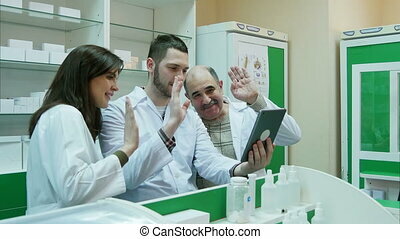 Team of pharmacist having video chat using digital tablet at pharmacy. Close up. Professional shot in 4K resolution. 081. You can use it e.g. in your commercial video, business, presentation, broadcast video. 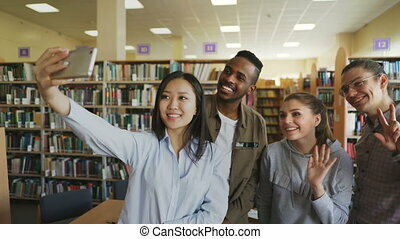 Cheerful team of pharmacist and interns take selfie via smartphone at workplace. Professional shot in 4K resolution. 081. You can use it e.g. in your commercial video, business, presentation, broadcast video. 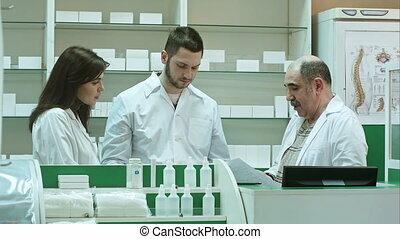 Team of pharmacist checking documents and medicine at drugstore. Close up. Professional shot in 4K resolution. 081. You can use it e.g. in your commercial video, business, presentation, broadcast video. 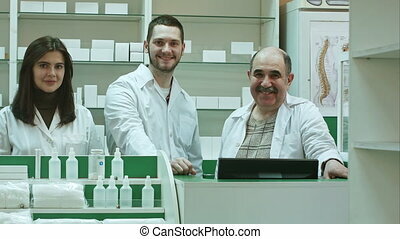 Team of pharmacists working at pharmacy drugstore, senior pharmacist is not satisfied with students job. Professional shot in 4K resolution. 081. You can use it e.g. in your commercial video, business, presentation, broadcast video. Funny young pharmacist dressed in white uniform dancing at pharmacy. Close up. Professional shot in 4K resolution. 081. You can use it e.g. in your commercial video, business, presentation, broadcast video. 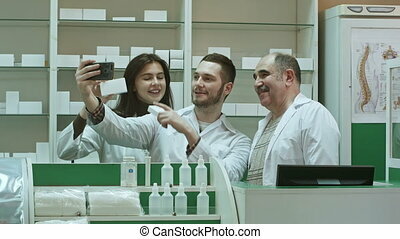 Smiling two pharmacist taking selfie in pharmacy. Close up. Professional shot in 4K resolution. 081. You can use it e.g. in your commercial video, business, presentation, broadcast video. 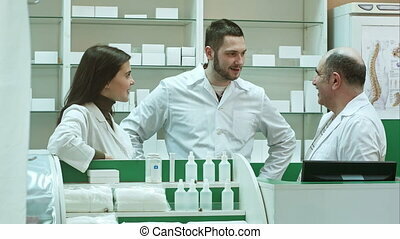 Team of pharmacist chemist woman and man standing in pharmacy drugstore and talking positive. Professional shot in 4K resolution. 081. You can use it e.g. in your commercial video, business, presentation, broadcast video. 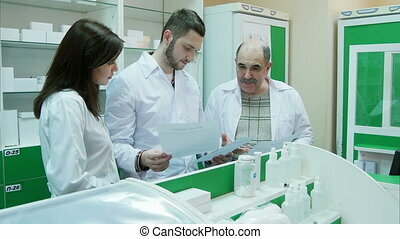 Positive team of pharmacists looking at box of tablet at the hospital pharmacy. Professional shot in 4K resolution. 081. You can use it e.g. in your commercial video, business, presentation, broadcast video. 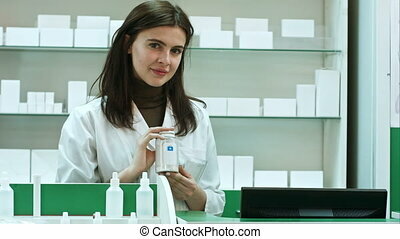 A cheerful young woman pharmacist with a bottle of drugs standing in pharmacy drugstore looking at camera. Close up. Professional shot in 4K resolution. 081. You can use it e.g. in your commercial video, business, presentation, broadcast video. 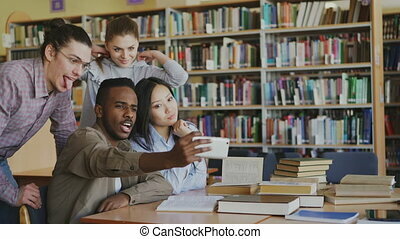 Group of pharmacist have an emotional discussion with documents in pharmacy. Professional shot in 4K resolution. 081. You can use it e.g. in your commercial video, business, presentation, broadcast video. 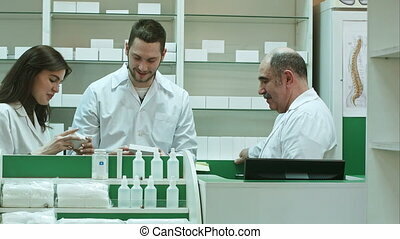 Smiling team of pharmacists, two male and one female, stand side by side in the pharmacy checking information on a tablet computer. Professional shot in 4K resolution. 081. You can use it e.g. in your commercial video, business, presentation, broadcast video. 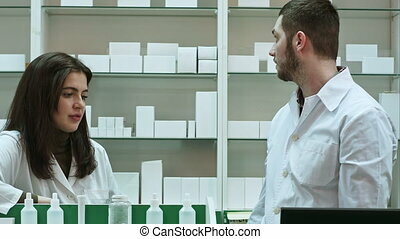 Two adult pharmacists having conflict, discussing problems at pharmacy. Close up. Professional shot in 4K resolution. 081. You can use it e.g. in your commercial video, business, presentation, broadcast video. 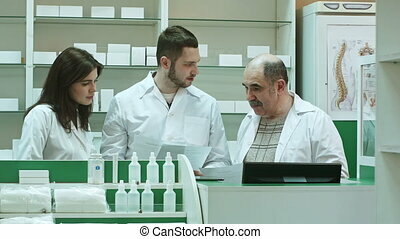 Three concentrated pharmacists using tablet computer at a counter in a pharmacy. Professional shot in 4K resolution. 081. You can use it e.g. in your commercial video, business, presentation, broadcast video.